We try to pick up the returned goods through our logistics partners formajority of the time. However, in case pick-up cannot be arranged through us, you can return the item through a third-party courier service arranged by you, return fees will be borne by us. Utmost care is taken to ensure the ordered goods are delivered safely as desired. But under unavoidable circumstances there could be damages to the products. If you receive the goods with any major sign of damage or leakage or if they are incorrectly supplied too, we request you immediately mail us with the images of damages or leakage on product within 48 hours of received damaged package to us on greeno@greenobazaar.com or call us on 7359188688 for further process and guidance for resolutions. We will be glad to send the replacement of the fresh products desired by you right away. they should not be worn, washed/ dry cleaned or ironed. All products must be exactly in their original packing with all the inner packing material, In case of clothingmanuals and accessories. Price tag should not be or removed or tampered. Under what conditions will my order stand automatically cancelled? person at the shipping address to receive the items from courier partner, the order will be cancelled automatically. The two way courier service and handling charges will be deducted and the balance shall be refunded. If you wish to, you can cancel your order by contacting Greenobazaar Customer Support at various stages before shipment of the goods has commenced. 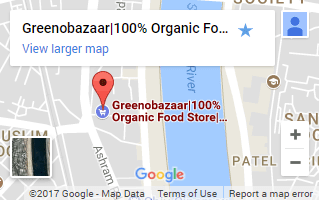 You can cancel order by calling Greenobazaar customer support prior to the time of order process or shipment. Refunds will be made within 10 business days from the date of cancellation. Due to processes with our logistics and payment gateway partners. Once the shipment has commenced you cannot cancel your order. However, you may replace or exchange the product as per our return policy.